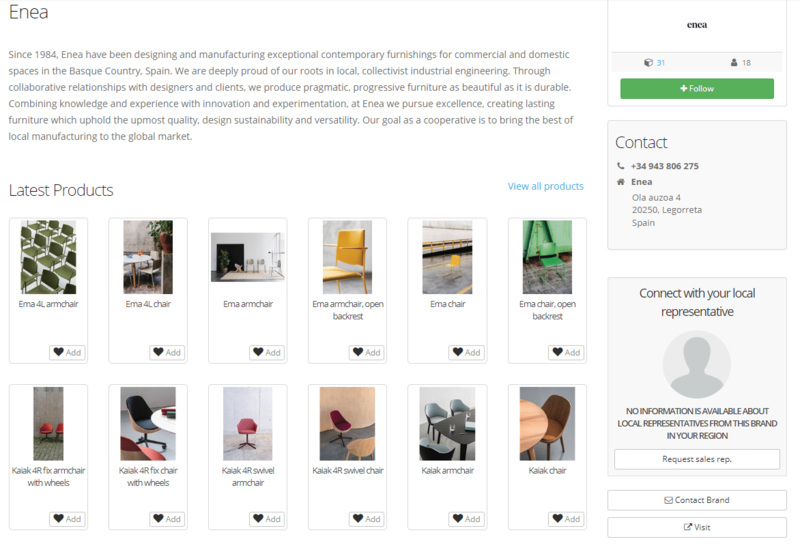 More than 30 of our products are already available on the BIMobject platform to facilitate the correct integration of the furniture in the different projects of architects and interior designers. 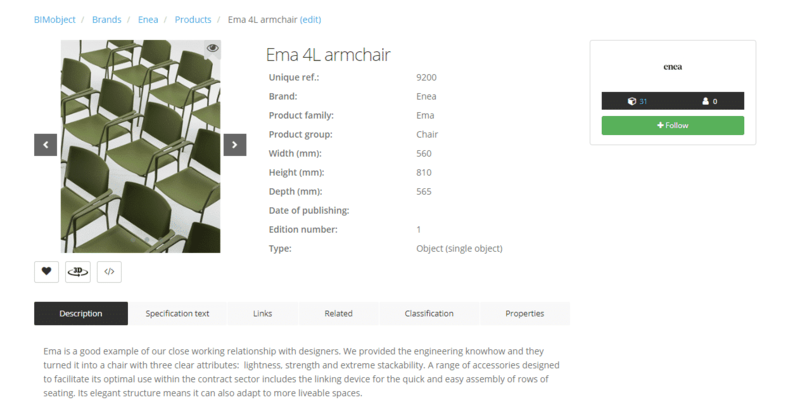 Among them, we can find chairs, stools, coat stands and poufs of the Bio, Caddy, Coma, Coma Wood, Ema, Kaiak, Lottus, Lottus Wood and Puck families, but these are part of the begining, since from Enea we will incorporate more products progressively. This platform is very useful because, just by registering, it is possible to search among thousands of BIM objects and download the one that best suits the needs through advanced filter options. This download can be done in different formats available for programs such as SketchUp, Revit, ArchiCAD, Vectorworks and AutoCAD and integrate them into the project. But it is possible to go a step further, since all these programs allow the integration of the files located in BIMobject directly in the program, allowing to browse, filter and download them directly. In addition, each of the products integrated into BIMobject has relevant information such as pictures, dimensions and description. 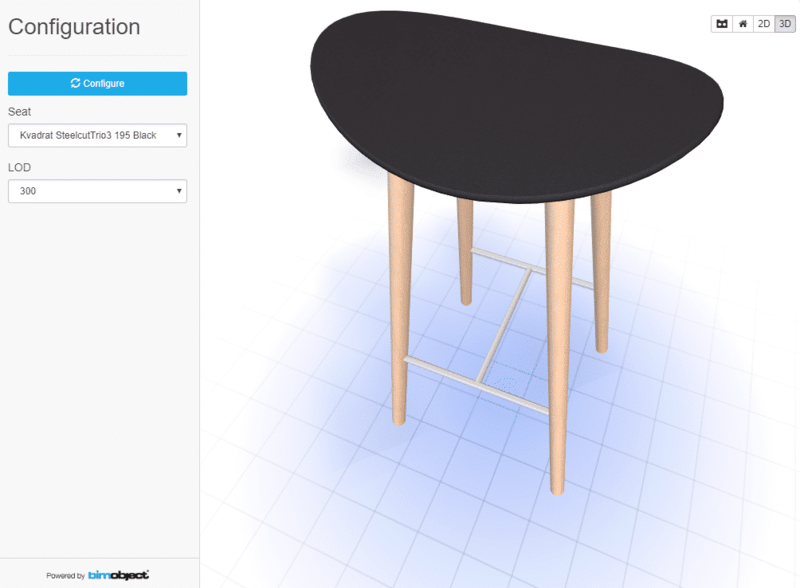 It also has a 3D configurator that allows a preview of the product with different finishes and a link to get in touch with us and to be able to make any query, to ask any doubt or to make a request. BIM supposes the evolution of traditional design systems based on plans and its use goes beyond the design phases, covering the execution of the project and extending throughout the evolution of planning and construction of a building, allowing to improve the management and to reduce costs.